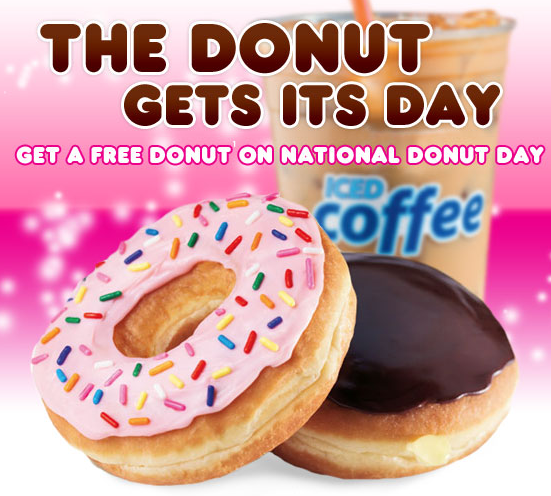 Dunkin Donuts: Free donut with any beverage purchase. Also, I’m not sure if this is at all Dunkin Donuts, but the ones by me have any size Iced Tea for only $0.99. So, buy a large Iced Tea for $0.99 and get a Free Donut.